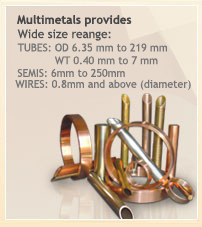 Copper tubes meet the specifications of international standards like ASTM-B-75/68 and UNS C12200. Tests are conducted as per specification for Physical & Mechanical properties & Chemical Composition. ECT is conducted for bare tubes. Finally, PVC Coating is done as per ASTM-D-1047. PVC Coated tube is ensured leakproof after conducting pressure drop test. Copper tube 6 & 8 mm O.D. with PVC coating (Black) bunch coil of 14 & 16ft length. 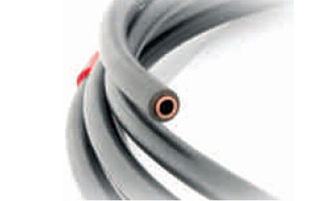 Thickness of copper tube and PVC can be as per requirement. Other sizes as per requirement subject to our confirmation can be manufactured.